The Girls' Cross Country team was represented at the State Meet by the following runners: Bella Chadwick, Harper Dale. Sara Daugherty, Gray Fleetwood, Lizza Hubbard, Barrett McFerrin, and Claire McGehee. The team finished in 8th place and Gray Fleetwood was the top Ensworth finisher at 21:46 (27th place finish) and four team members set a new PR. The Girls' Cross Country teams competed at Steeplechase for the first time this season. The five scorers for the varsity team were Harper Dale, Barrett McFerrin, Caroline Frist, Lizza Hubbard, and Bella Chadwick. 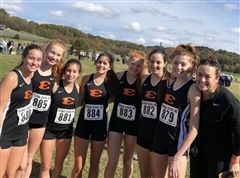 The top five finishers for Ensworth in the JV meet were: Claire McGehee, Lucy Butler, Jane Anna Vickery, Mary Hayes Greer, and Jessica Calloway. 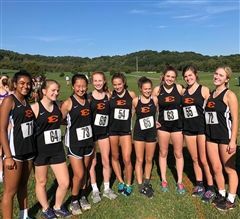 The Varsity Girls' Cross Country team won the meet at Vaughn's Gap. The team consisted of Harper Dale, Gray Fleetwood, Barrett McFerrin, Sara Daugherty, Lizza Hubbard, Bella Chadwick, and Caroline Frist. The scoring members of the team all finished in the top fifteen. The team competes again on Wednesday, October 17, 2018 at Steeple Chase. Kristen Ware has been the Head Varsity Cross Country Coach and Assistant Track Coach at Ensworth for the past three years. Before Ensworth, Coach Ware was an assistant track and cross country coach for three years at Culver Academies in Culver, Indiana. In her prep career, she ran cross country and track in high school and college. In her collegiate career, she competed on the Brown University Cross Country and Track Teams, competed in the 2001 NCAA National Cross Country Championships, and served as captain of the Women's Cross Country Team during my senior year.